In October 2017, MCC celebrated the grand opening of its high-tech automotive technology laboratory and recognized local employers and others who helped make the facility possible. Located in MCC’s Applied Technologies Center, the new lab features the latest technology, similar to that found in the workplace, to prepare students for high-demand careers as automotive generalists. The lab provides room for students to work on six vehicles at a time and allows for more aspiring technicians to pursue an associate degree or certificate in MCC’s Automotive Training Apprentice program. The laboratory was established through funding support from the Rochester Automobile Dealers Association and Monro Inc., and was matched with a state grant made possible through Sen. Joseph Robach, R-Greece. Davenport-Hatch Foundation has made significant investments in the Richard M. Guon Child Care Center at Monroe Community College over the past 25 years, with the latest being a $30,000 grant to renovate the original kitchen. The child care center assists eligible MCC student parents with child care costs through subsidies, scholarships and grants. The child care center serves meals and snacks for nearly 100 children each day between the ages of two months to five years. The renovations allow the center to better accommodate its children and staff with meal preparation, as well as integrate cooking activities into the curriculum to teach children about proper nutrition. Since the program's inception in 1985, MCC's General Motors Automotive Service Educational Program (GM ASEP) has educated more than 230 students with a 100 percent job placement rate for graduates. Over the years, the company has donated 51 vehicles and equipment to the college. Earlier this month, GM added to the fleet of contributions a 2017 GMC Sierra Denali diesel truck. "We are grateful to General Motors for their strong support of MCC students in ensuring they receive the best preparation for high-demand careers in the automotive field," MCC President Anne M. Kress said. "With GM's partnership, our students gain skills linked to industry standards, so they can contribute in the workplace at the highest levels from day one. MCC is committed to meeting the industry's evolving workforce needs and helping employers and our region's economy grow." 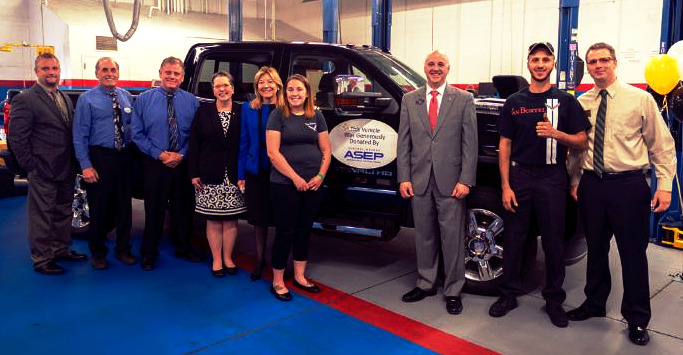 MCC student Niki Davey (pictured above to the left of the ASEP logo) is excited about the learning opportunity GM's recent donation brings to the program. "From my personal mentors to the dealers, I feel like everyone wants me to succeed in this program." This spring, Niki gained experience as an intern at Van Bortel Chevrolet. From establishing vital scholarship funds to helping transform learning spaces into simulations of actual workplaces, major donors help keep MCC responsible to student and employer needs. The MCC Foundation, along with MCC faculty and students, is grateful to the following major donors for their investment in public higher education at MCC. Greater Rochester Summer Learning Association Inc.
UTC Fire & Security America’s Corp. Inc. Most days, Associate Professor Emeritus of Communication John B. Owen walks on the Brighton Campus and in the PAC Center for exercise. He also takes classes on a variety of subjects, especially before traveling throughout the U.S. and abroad. 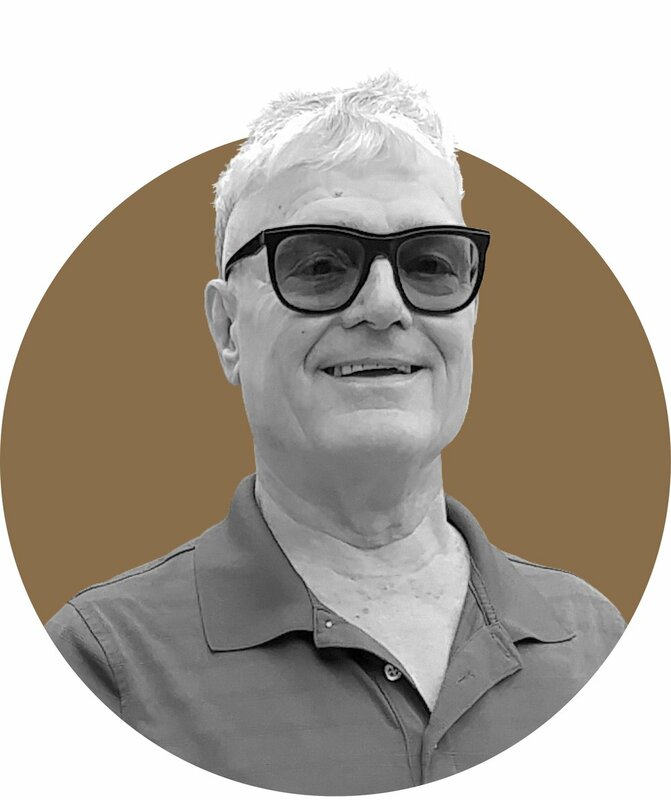 John estimates he has taught at least 5,000 MCC students during his 31-year career and appreciates how private philanthropy motivates students and adds to MCC’s learning environment. A supporter of the Annual Fund for Monroe Community College, John recognizes that MCC students have unique personal histories and needs. In June 2018, John notified the MCC Foundation of a significant planned gift that he incorporated into his personal estate plan. As a result, the Foundation is pleased to recognize John among the newest members of the Alice Holloway Young Society. “People helped me, so I’ve always felt a need to pay it forward,” he says.